I have a soft spot for teddy bears. 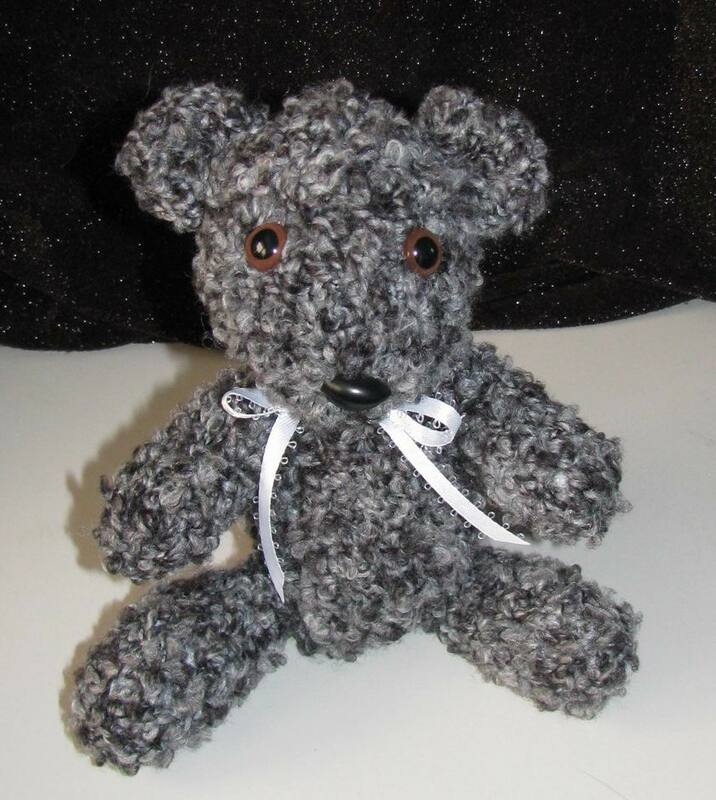 This is my second jointed bear. I wanted to try another yarn, so I went with a boucle type yarn (Bernat Soft Boucle) . I had to use a larger hook for this yarn, he measures 8 inches tall. I really like how he turned out, really soft and cuddly. Now I have to find a spot for him (until my daughter snags it away). Look at his eyes, he’s begging to be picked up and hugged. Melts my heart. He is too adorable. He looks like he needs a hug. I’d give him one but he is too far away.